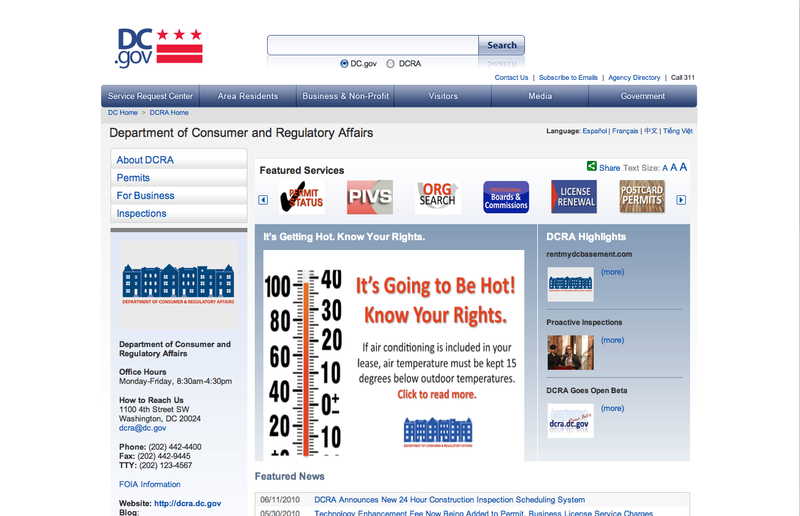 DCRA launched a brand new website yesterday and, so far, it’s getting rave reviews. We’re still adding stuff and cleaning up some links, but it’s a good start. But the reason for this post is to highlight our new PIVS application, which will allow you to search for whether or not your property is properly licensed, if it has a Certificate of Occupancy, what housing code violations have been issued and what permits and inspections have been done. The database goes back about 6-7 years, but will be a big help for folks. So go to http://dcra.dc.gov and look for the PIVS icon right at the top under featured services. And let us know what you think. And take a look around the site. Join DCRA Chief Building Official Don Masoero today, May 14, 2010, at 2 p.m. to discuss building inspections and building safety by going to dcra.dc.gov/chat . We will go for at least an hour. Please come join us. If you’re on Twitter, send questions and use #buildingsafetymonth in your tweet and we’ll see it or just send a message to @DCRA. For the past two years, we’ve been working hard to get students to learn about building safety, to inspect their own homes, request city inspections and make sure they are renting from licensed landlords. We managed to get several hundred student properties inspected and as many new licenses have been issued. We are getting calls from students, parents and even professors about safety issues for of-campus student housing. While DCRA is not responsible regulating for student behavior – other than building safety issues – we do want to encourage all students to take as much responsibility for their actions as they have so far through our campaign. Try to be good neighbors. Try to clean up after yourselves. We’ve been so impressed with the initiative students have taken to make sure their off-campus housing is safe. 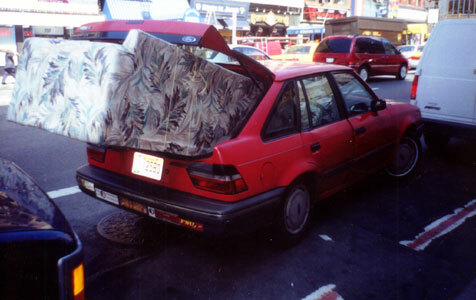 One Burleith resident has created a new blog to chronicle his experience living in the Georgetown area. What do you think of his effort? Let us know your thoughts. Will this work?